Europe is dream destination especially for an Asian backpacker like me who grew up seeing beaches. I have made numerous trips around Europe on a budget. Yes, Europe can hurt your wallet but with these tips, hacks and thrifty travel inspiration from my vast experience, you can embark on an exciting European backpacking adventure without necessarily depleting your stash of hard-earned cash. Fly low-cost. You can book the cheapest fares around Europe from RyanAir and WizzAir. A bit more expensive alternatives are EasyJet, EuroWings, Jet2, Vueling and AirBerlin. It’s important to note that many of the airports these airlines fly from and out to aren’t necessarily the major ones close to the advertised city destination. But there’s always excellent airport transfer options, public transport included. So just make sure to check them before finalizing your flight bookings. Skyscanner meanwhile scans most of the flight-booking websites. I’ve learned one trick with Skyscanner. This is if you’re on a random European tour and just want to get to wherever the cheapest flight would take you. As you search for flights with Skyscanner, type in “anywhere” on the destination field. Results would sort destinations from your choice airport to wherever by price. Ride a bus. Buses are cheap alternatives to trains. Though they’re not as comfortable. But at a fraction of the train cost, they’re a practical choice. Also bus rides usually take longer than train rides. From Amsterdam to Paris for instance, it takes 6-8 hours with a bus while only 3-4 hours with a train.What I suggest you do; for long trips (by that I mean 6 hours or longer), take late-night schedules. They’re sometimes the cheapest. You sleep during the entire trip (unless you have problems sleeping in buses) and wake up already at your destination well-rested (unless, you know…) and ready for some sight-seeing. You save a night’s stay at a hotel. Two bus companies I usually take are EuroLines and FlixBus. They’ve an extensive network of destinations. There’s also OuiBus and Megabus. You can also check out local bus companies of whatever country (in Europe of course) you’re in and book through them instead. To/from and around Poland for instance, there’s PolskiBus–probably the best bus company operating in Europe. They’ve fast WIFI, cleaner toilets and they used to serve snacks. An update, Flixbus has already bought Polskibus. It’s important to note as well that bus terminals are not necessarily next to train stations. What I do and what I suggest, in Poland especially where the arrival terminal isn’t always the departure terminal (Warsaw), I locate thru Google Maps the exact location of the terminal and if possible, chance it like a day before, to avoid being left behind and forfeiting your ticket. Take the train. Trains are undeniably more comfortable and travel times are quicker. Hence rarely would train tickets be cheaper than bus tickets. But that is not the case during promotions. Dutch train operator NS for instance on its website publishes slashed prices for its destinations. It’s important to note as well that train prices are congruent to the cost of living of a country. Austria vs Slovak Republic for instance is a perfect example. I remember looking at train tickets from Vienna to Prague, they costed a lot. I decided to get to Bratislava first and bought another ticket to Prague from there. Total cost was cheaper than taking the train from Vienna direct. EurailPass can be a little bit on the expensive side but a hassle-free way of getting around a country or multi-countries. I don’t necessarily recommend it for the sole reason that it’s pricey. I’d rather spend that money on food. Sleep cheap. I used to book hotel rooms through Booking.com until I finally discovered hostels. 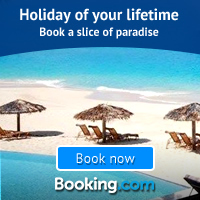 As you search for the properties in Booking.com, sort the results list to show the cheapest first. Hostels will show up on top of the list I’m sure. But sites like HostelBookers, and HostelWorld are dedicated solely to hostels. Read through the comments/reviews first and consider the location of the hostel also before finally deciding on booking. I stick with Booking.com coz after multi-city stays, I became a genius member. With it, I get 10% discount on my bookings with participating properties. If you’re a couple or better yet, a group travelling, it’s worth considering getting a hotel room instead. The sum of the cost of your hostel beds can amount to a hotel room with a private bath–a more comfortable stay altogether. But then Hostels have most of the time a working kitchen–yes I cook rice noodles every time. 😉 And the coolest people stay in hostels. I’ve connected with people from all over the world and have since remained friends with them. And that couldn’t have been possible if I stayed in hotels just. You’re exposed to different perspectives and it widens your horizon. You also get to change whatever misconception they have about your country through you. AirBnB meanwhile offers a more personalised accommodation ranging from a room with shared bath to an entire apartment/house all to yourselves. Sleep free. I haven’t personally tried it yet but CouchSurfing offers free accommodation from locals. You need to set up an account and your identity needs to be verified. Accommodation requests from unverified accounts usually get ignored by hosts. I also tried once, something I don’t necessarily recommend–sleeping at the airport. You don’t get proper sleep of course and you worry about waking up to your luggage carried off. But if you have a very early flight the next day and/or maybe the airport is hard to get to, you might want to consider coming to the airport late night. The website SleepingInAirports provides reviews of sleeping conditions in airports all over the world from actual travellers/passengers themselves. You save money on a hotel and you’re not late for your flight (unless your alarm fails to do its job).